U.S. Drug Enforcement Administration’s rules and procedures are seriously delaying and in some cases preventing nursing home patients from getting the pain medication they need. According to a survey released by the Quality Care Coalition for Patients in Pain (QCCPP), nearly two thirds of physicians, nurse practitioners, pharmacists, nurses and other clinicians say that DEA procedures are resulting in delays in getting pain medication to their patients. In Ohio, where DEA has been most active, 86 percent of respondents indicated that treatment has been delayed. The report “Patients in Pain: How U.S. Drug Enforcement Administration Rules Harm Patients in Nursing Facilities” explains how and to what extent DEA rules affect patients in nursing facilities, and focuses on long-term care, and those receiving hospice services. 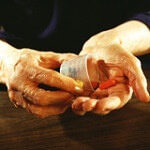 “Current DEA rules and procedures frequently prevent or delay nursing home patients in severe pain from receiving the medication they need,” stated Ross Brickley, RPh, MBA, CGP, president of CCRx of NC, Inc. and former president of the American Society of Consultant Pharmacists, founder of the QCCPP. “Without action by DEA or, if DEA won’t act, by Congress, nursing home patients will continue to suffer,” he added.